Before you start up with the registration process first you have to create your HMRC online account and then register your new business with HM Revenue and Customs. 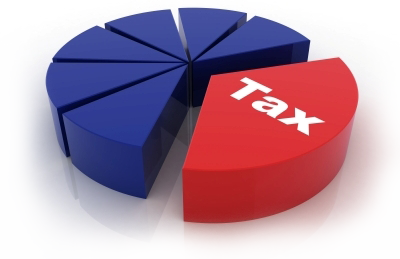 - If you have set up a new limited company then corporation tax is essential. - when you are taking on staff then PAYE for employers. - VAT as a new business. VAT Registration AssistanceWe'll email you the registration form to complete. Once posted back to us, it is thoroughly checked and approved before being submitted to HMRC. Once the application has been submitted to HMRC, it takes around 4-6 weeks to be processed. We will notify you by email, once the registration form is complete. When we receive your email, the application will be checked and approved before being submitted to HMRC. After submission, it takes 4-6 weeks to be processed. What happens if there is any mistake on application? Member from our team will contact you to overcome those errors. Once all the information in the form found accurate, then it will be sent to HMRC. Why VAT registration is required? If you are not VAT registered, then you wont be able to retrieve VAT charges that you paid to buy goods or services from another business that is VAT registered. Which address should be used as business address after completing the form? Even though you have a registered service address with us, still the business address cannot be our address as it refers to your actual trading address. Can all the companies use the VAT assistance service? No, because it is applicable to those companies which are limited by shares. Why PAYE registration is required? If you need to register as an employer with HMRC, then you have to hire employees including yourself. ‘Pay As You Earn’ is referred by the system used by HMRC which collects Income Tax and National Insurance Contributions from suitable employees. To register for PAYE, what information is essential? - Description of the company. - When will be the first pay day.